For the ultimate space heater, try adding a fireplace to your bathroom. New, prefab models make it easy and inexpensive. 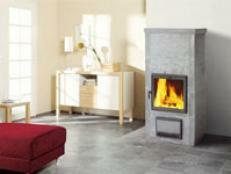 The Crestfire 230 ambient electric fireplace by Heat & Glo. 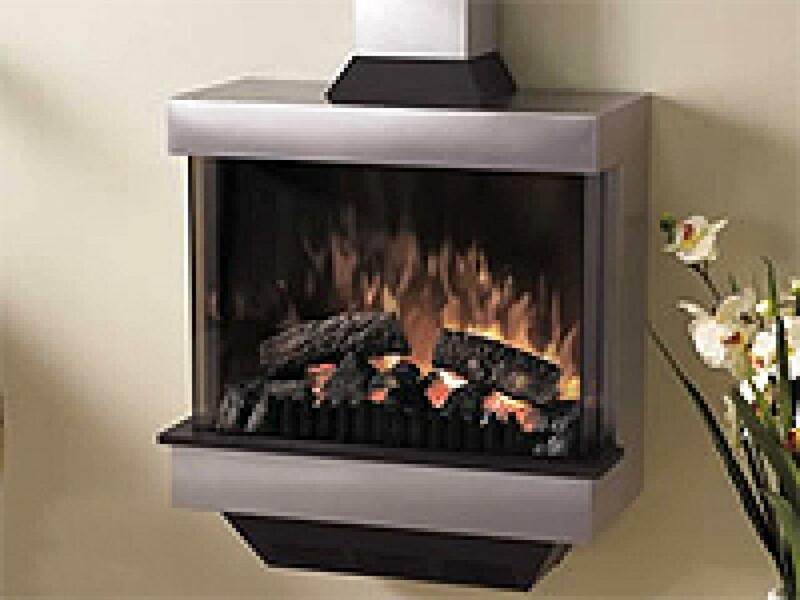 SILHOUETTE 60 ambient electric fireplace by Heatilator. Electric Wall Mount Fireplace by Dimplex. Installing a fireplace insert can be quite simple, as with the Heat & Glo Crescent Model, which can be sized for virtually any pre-existing opening and literally plugged right in and turned on. 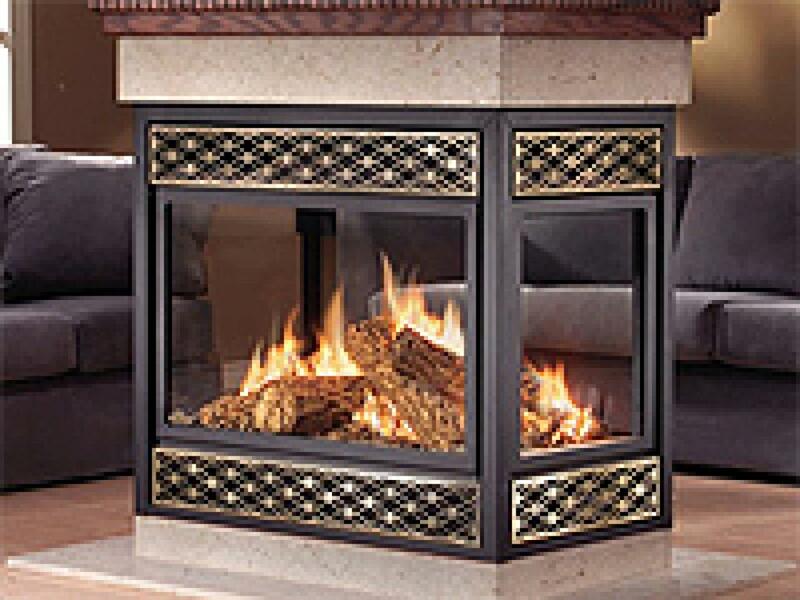 Gas fireplace inserts are a bit more complex and require a hook-up to a house's existing gas line. One very popular option in master suites is a two-way fireplace, like the Napoleon Natural Vent Multi-View Model. 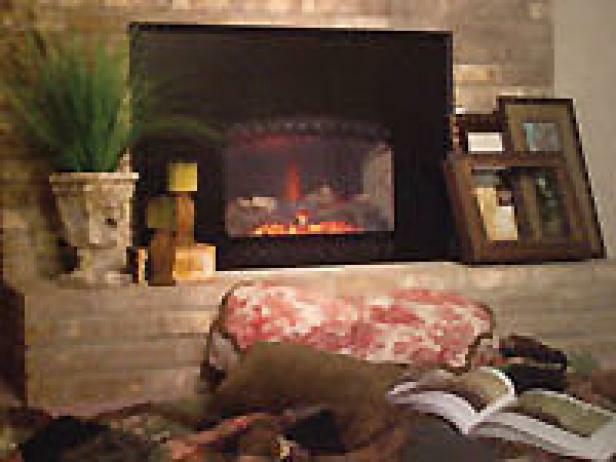 These types of fireplaces are situated in the wall between the bathroom and bedroom, and they can be seen and enjoyed from either room. 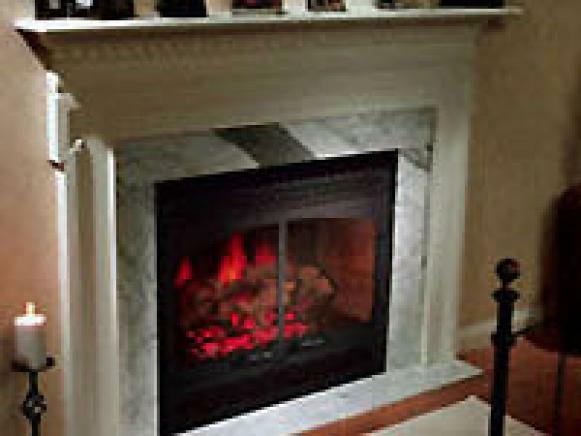 The cost and time for installing a fireplace in a bathroom can range from only a few hundred dollars and a DIY weekend afternoon for a simple electric unit, to thousands of dollars and a professional installation for larger, high-end gas units that require attachment to a home's gas line. 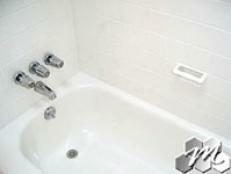 There are myriad price and design options within this wide range. Designer Jennifer Duneier discusses how she transformed a New York City sitting room and bathroom into a glamorous retreat. 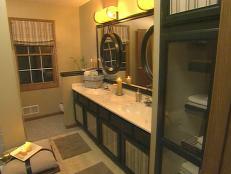 Candice Olson began this amazing makeover by ripping out almost everything, including a wall. 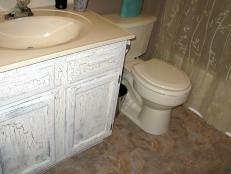 Have an outdated bathroom? 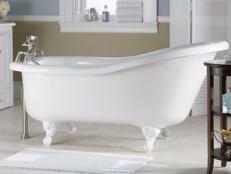 See how you can turn it into a spa-like retreat for less than $500. 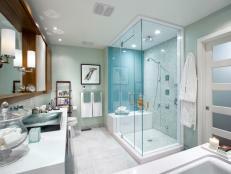 A bathroom is transformed from sterile to stylish with a few inspired colors. Spa details and beautiful materials make this bathroom sparkle. New options in gas and electric fireplaces are offering homeowners the freedom to install these fixtures in every room of the house  even kitchens and baths. Are you redecorating or redesigning? Answering that question will help you determine what fixtures to keep for your bathroom makeover  and how big your budget might be. 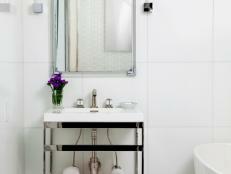 Transform the look of your bathroom with a crackle finish on the vanity and easy-to-apply tiles.